Do you get a kick out of subtle colours? How about this gorgeous fitted long cotton lace top? 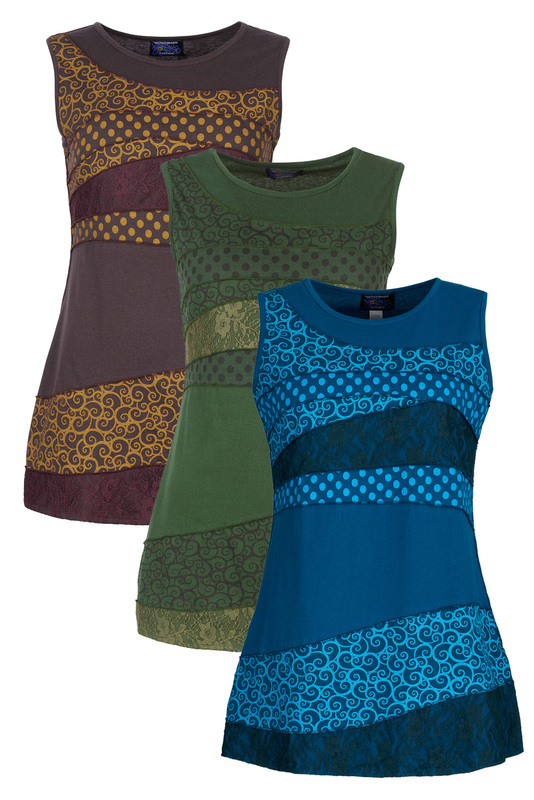 It comes in either a lovely rusty orangey brown or a series of fab olive greens, each embellished with layers of printed fabric in horizontal wave-like patterns. 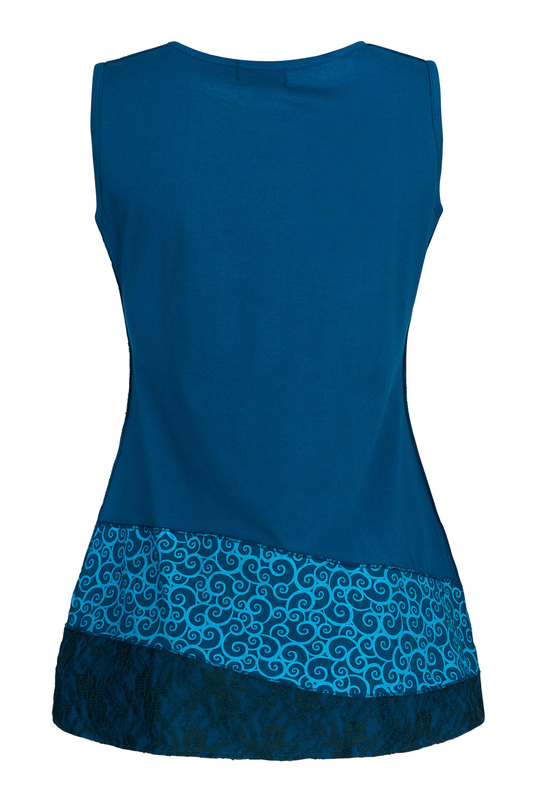 The fit is wonderfully flattering, and the sleeveless good looks make it a real summer special. 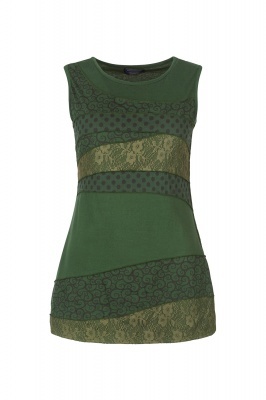 Mind you, you can wear it through autumn too – just add a long sleeved T underneath in a toning or contrasting shade. 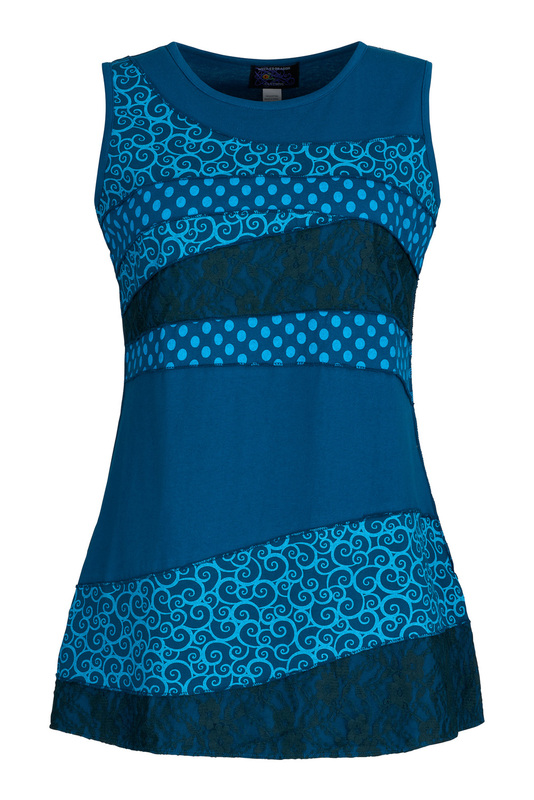 Great with a boho skirt, excellent over jeans or leggings, its totally versatile.